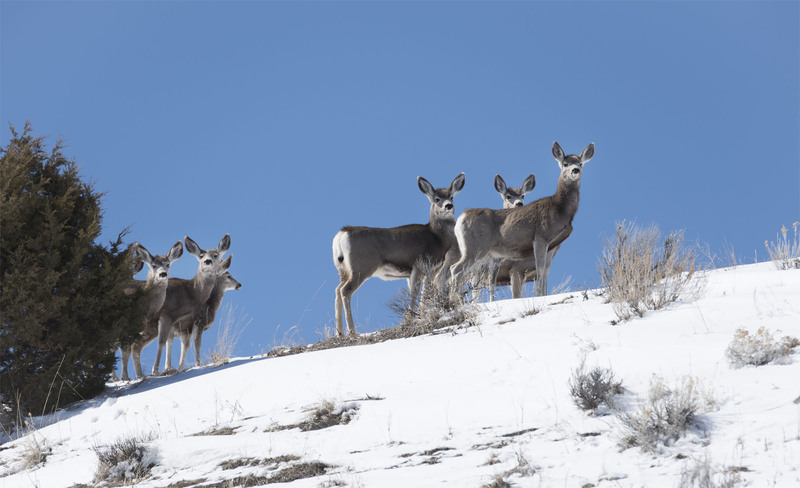 A nice group of Mule Deer peek out from behind the juniper on a wonderful bluebird day as the snow slowly melts away on the sagebrush covered hills. A welcoming sight on a wonderful early spring day. The are indeed a nice looking group. Hope you have a wonderful weekend.